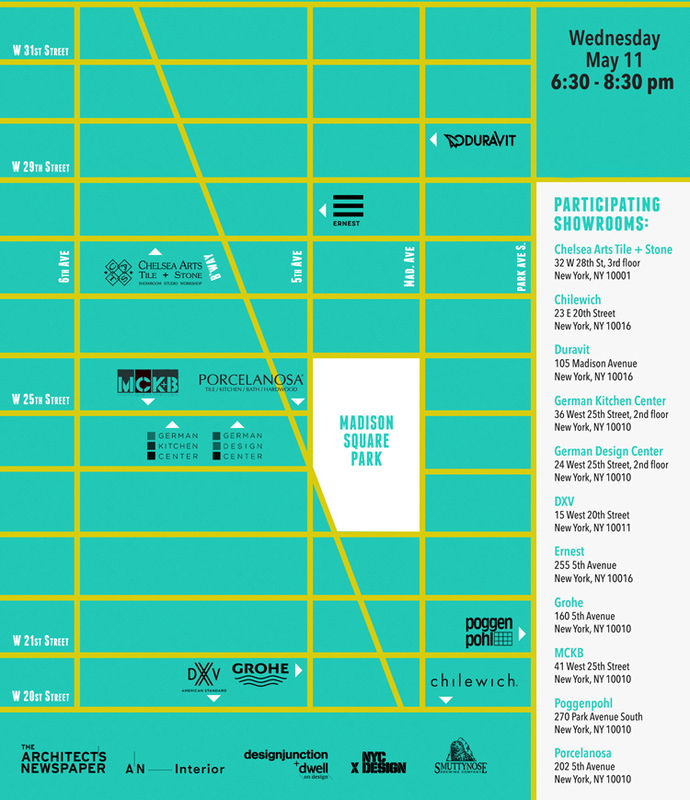 Porcelanosa will be taking part in The Architect’s Newspaper’s Design Showroom Cocktail Crawl during NYCXDesign week! 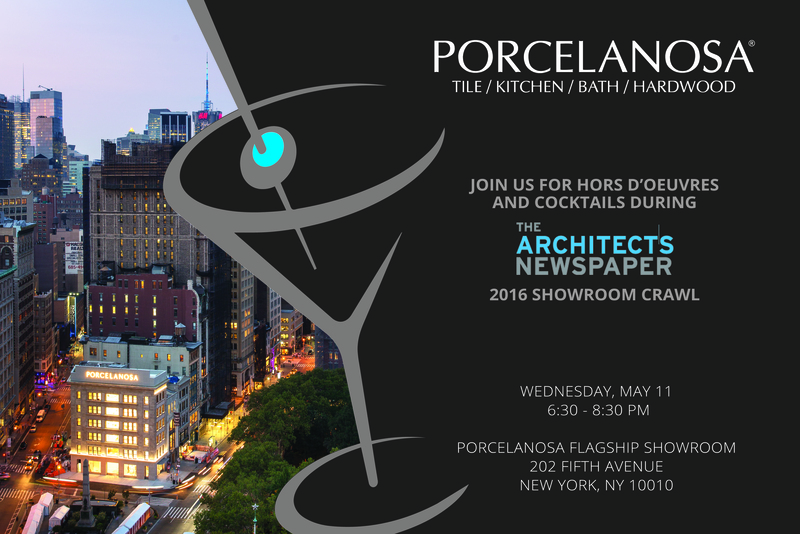 Join us at the Porcelanosa Flagship showroom for a cocktail or a Smuttynose Brewing Company craft beer. Those participating in the event can visit 7 of the 10 showrooms and be entered to win one of two $500 AMEX gift cards! Below is the event map, which shows where all of the participating showrooms are located.